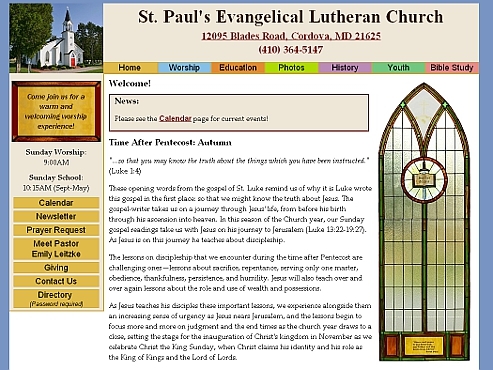 "It was a pleasure working with her on the St. Paul's church website. We came up with a design and gave her our ideas and she helped make them come to life. It was truly an awesome experience watching our ideas become a reality. With her suggestions and our comments the website became better than we could have imagined. She was a pleasure to work with and I thank her for all her hard work."